The Department of International Affairs (DIA) of the Secretariat for External Relations (SER) is responsible for advising the Secretary General on all matters relating to civil society and developing and executing activities and strategies designed to promote and broaden the participation of civil society organizations (CSOs) in activities related to the OAS. DIA also directs and coordinates activities in this area with all the dependencies of the General Secretariat in their efforts to encourage civil society to take part in the Organization’s activities; provides secretariat services and technical support to the Committee on Inter-American Summits Management and Civil Society Participation in OAS Activities (CISC) of the Permanent Council in all matters related to civil society participation; and coordinates the Registry of CSOs in the OAS. Since 1999, the Organization of American States (OAS) has created spaces for the participation of civil society organizations (CSOs) in its activities. Resolution CP/RES. 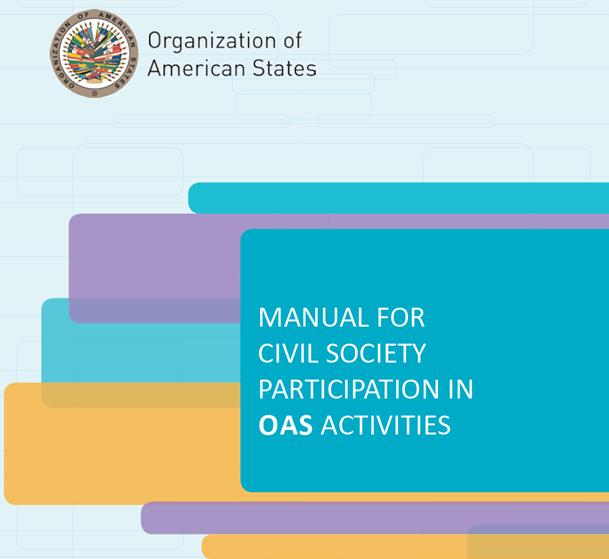 759, “Guidelines for the Participation of Civil Society Organizations in OAS Activities,” institutionalizes and provides a framework for civil society participation in the political bodies of the OAS. The presence of civil society participation since 1999, including local groups and broad networks of NGOs and social actors, has contributed to reaching the hemispheric goals of strengthening democracy, protecting human rights, and promoting integral development and multidimensional security as well as other initiatives under way in the OAS that are a part of the inter-American agenda.